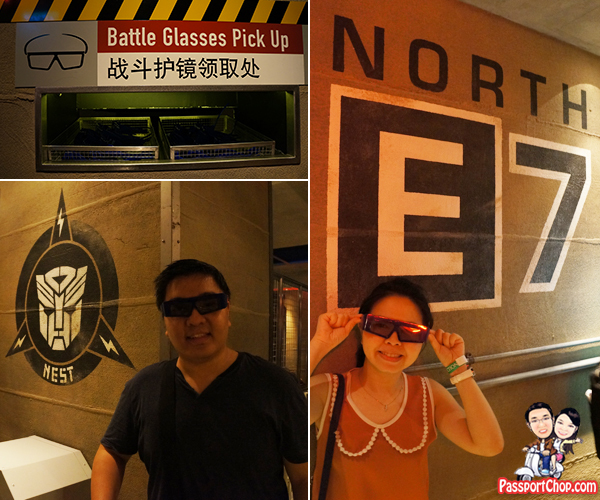 TRANSFORMERS The Ride: The Ultimate 3D Battle is one of Universal Studios Singapore’s most popular attractions and you can expect quite long queues for the ride. When we were at Sci-Fi City at Universal Studios Singapore recently, we saw crowds rushing (Yes! They ran like mad!) to this Transformers ride attraction when the Universal Studios Singapore gates were opened at 10am on a weekday (and even though the ride is more than 2 years old!). 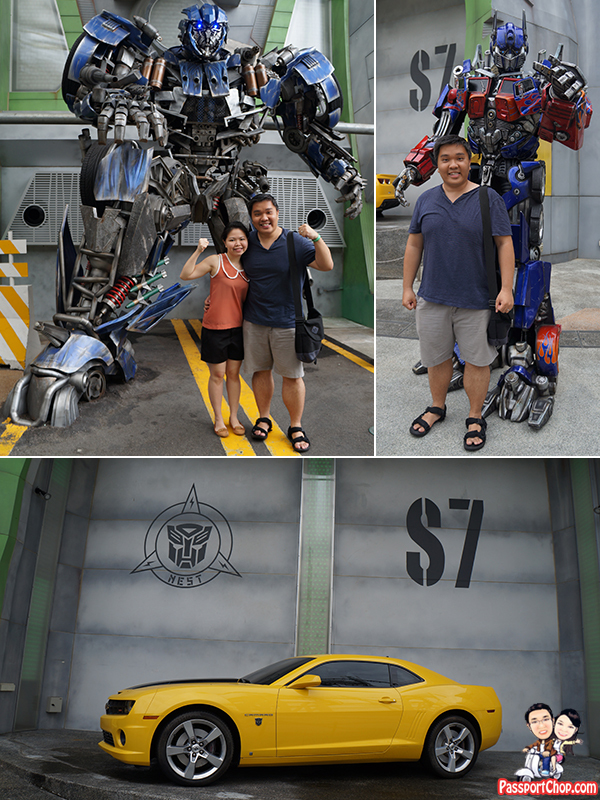 If you want to beat the crowds for the Transformers The Ride: The Ultimate 3D Battle attraction, the best way to do it is by purchasing the Breakfast at Sci-Fi City package (S$28). With this package, you will be able to enter Universal Studios Singapore as early as 8am (but you are not allowed to roam about the theme park) where you will be ushered directly to Starbot Cafe at Sci-Fi City where you can enjoy a buffet breakfast. Do note that you will still need a valid Universal Studios Singapore Day Pass on top of your Sci-Fi City Breakfast ticket. And if you want to skip lines at Universal Studios Singapore and get discounted ticket prices up to 50% off, check out Klook! They offer exclusive insider deals from skip-the-line passes and ticket collection is hassle-free! You will receive your e-ticket(s) instantly after you book with Klook. All you have to do is to show the e-ticket(s) at the entrance and you will be admitted straight away. 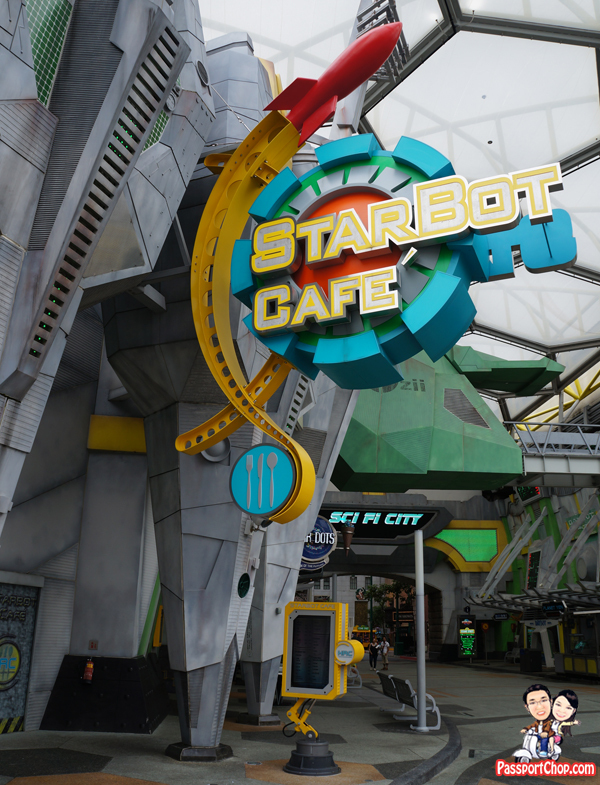 Starbot Cafe is designed like a spaceship in Battlestar Galatica show with futuristic themes and neon lightings. The buffet line starts at the “Human Refueling Centre” where there are a number of “Stations” i.e. Salad & Cold Cut, Egg, Bread, Pastry, Yoghurt & Fruit and Hot Food. There is quite a good selection of Western and Asian food to choose from the Hot Food station e.g. 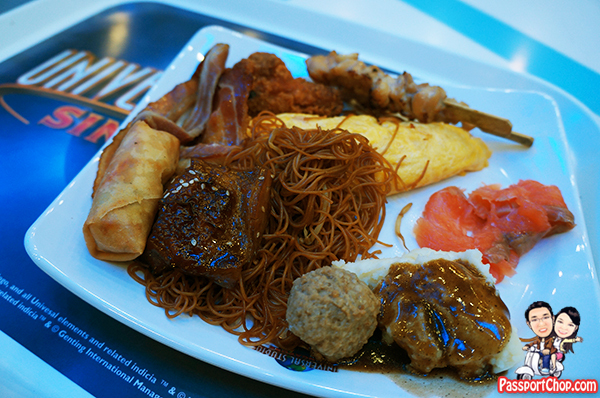 dim sum, fried noodle, nasi lemak, fried chicken, bacon, mashed potato, sausages, beef meatballs. Hash browns are located strangely at the Pastry station with butter croissants and assorted pastries. Starbot Cafe was surprisingly quite busy when we were there on a weekday morning – some of them were guests of one of Resorts World Sentosa’s hotels and had staycation packages which included breakfast at Starbot Cafe (with early access to Transformers ride). The food at Starbot Cafe tasted ok and will definitely provide you with energy to explore Universal Studios Singapore for the rest of the morning and even early afternoon. 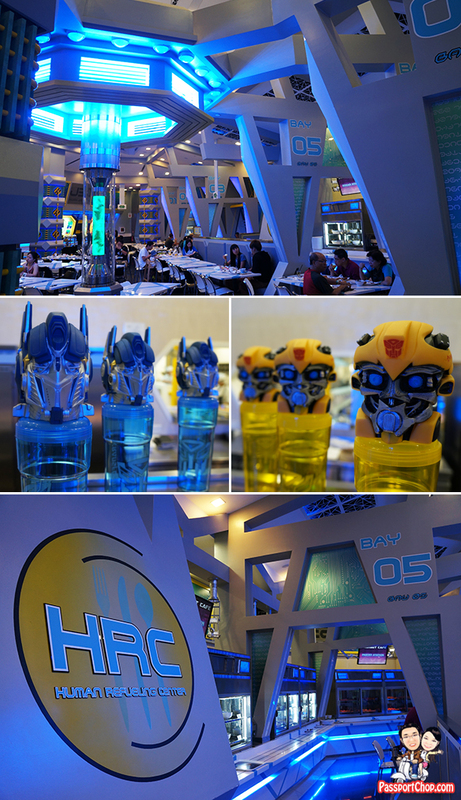 Breakfast hours at Starbot Cafe are from 8am to 10.30am and you can get access to the Transformers ride as early as 9.30am. Since everyone else will be coming in at 10am, you are assured of being one of the first to try the ride on that day! 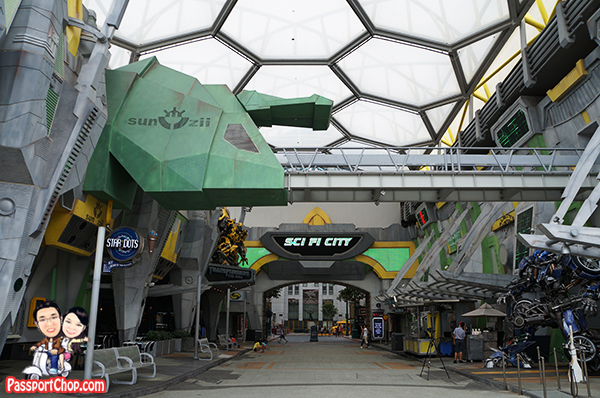 The deserted Sci-Fi City at Universal Studios Singapore at 9.30am – before the theme park opens. 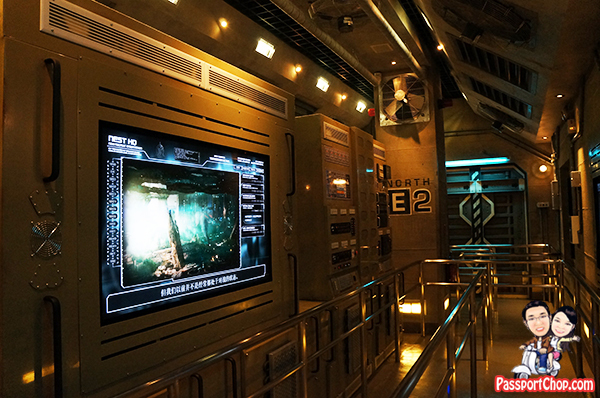 The Transformers ride is located at where Bumblebee (the transformed version – not the car) can be found (just by the door to Sci-Fi City from New York). 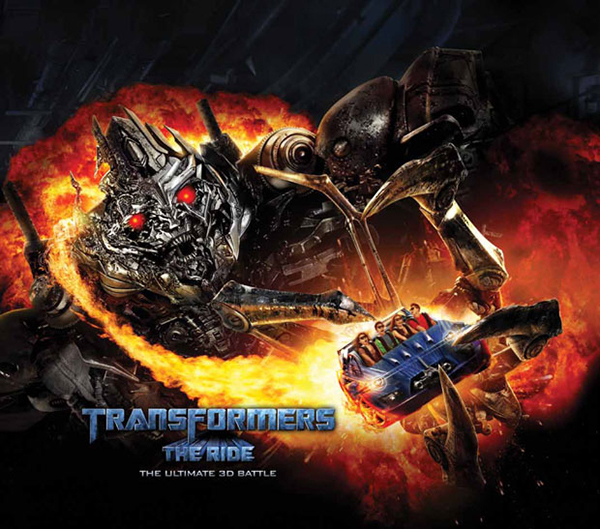 Transformers The Ride: The Ultimate 3D Battle features 12 scenes, comprising sets blended seamlessly with hyper-realistic 3-D digital media and special effects to bring tactile realism to every moment. 3D glasses (or as they call Battle Glasses) are provided and you will be completely immersed in the middle of all the action in the incredible world of TRANSFORMERS. The story is that the fate of humanity hangs in the balance as villainous DECEPTICONS invade NEST Headquarters to steal the ALLSPARK. And you’ve been volunteered to take it to safety and save our planet! The ride will race through the city, zipping through subway tunnels, down city streets and across high-rise rooftops as you hang on for dear life (don’t worry – you will be quite secure in your seat). After the Transformers The Ride: The Ultimate 3D Battle, you might feel inspired to take some snapshots with your favorite Transformer – there are 2 static ones at Sci-Fi City (I suggest that you take pictures with them right after your breakfast at Starbot Cafe and before your Transformer ride – so you can avoid the crowds and get them all to yourselves). There are also Character Meet and Greets with Optimus Prime and Bumblebee at scheduled timings throughout the day – take a copy of the Universal Studios Singapore programme schedule for the latest timing; when we visited Universal Studios Singapore on a weekday, the timings provided for AUTOBOTS, ROLL OUT! Character Meet and Greets were at 11am, 1pm, 3pm, 5pm and 7pm. Expect long queues and you can request for the Universal Studios Singapore photographer and staff to take photos of you with the characters using your camera (or iPad or phone or whatever you use as a camera)!